In physics, a continuous spectrum usually means a set of attainable values for some physical quantity that is best described as an interval of real numbers, as opposed to a discrete spectrum, a set of attainable values that is discrete in the mathematical sense, where there is a positive gap between each value and the next one. In digital photography, computer-generated imagery, and colorimetry, a grayscale or greyscale image is one in which the value of each pixel is a single sample representing only an amount of light, that is, it carries only intensity information. Grayscale images, a kind of black-and-white or gray monochrome, are composed exclusively of shades of gray. The contrast ranges from black at the weakest intensity to white at the strongest. The earliest television broadcasts were transmitted in black-and-white, and received and displayed by black-and-white only television sets. Scottish inventor John Logie Baird demonstrated the world's first color television transmission on July 3, 1928 using a mechanical process. Some color broadcasts in the U.S. began in the 1950s, with color becoming common in western industrialized nations during the late 1960s. 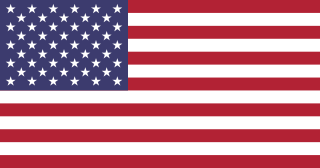 In the United States, the Federal Communications Commission (FCC) settled on a color NTSC standard in 1953, and the NBC network began broadcasting a limited color television schedule in January 1954. Color television became more widespread in the U.S. between 1963 and 1967, when major networks like CBS and ABC joined NBC in broadcasting full color schedules. Some TV stations (small and medium) in the US were still broadcasting in B&W until the late 80s to early 90s, depending on network. Canada began airing color television in 1966 while the United Kingdom began to use an entirely different color system from July 1967 known as PAL. The Republic of Ireland followed in 1970. Australia experimented with color television in 1967 but continued to broadcast in black-and-white until 1975, and New Zealand experimented with color broadcasting in 1973 but didn't convert until 1975. 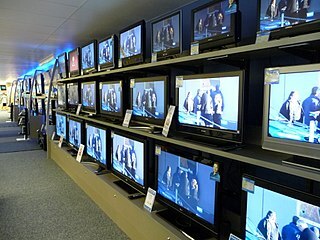 In China, black-and-white television sets were the norm until as late as the 1990s, color TVs not outselling them until about 1989. In 1969, Japanese electronics manufacturers standardized the first format for industrial/non-broadcast videotape recorders (VTRs) called EIAJ-1, which initially offered only black-and-white video recording and playback. While seldom used professionally now, many consumer camcorders have the ability to record in black-and-white. Photography is the art, application and practice of creating durable images by recording light or other electromagnetic radiation, either electronically by means of an image sensor, or chemically by means of a light-sensitive material such as photographic film. It is employed in many fields of science, manufacturing, and business, as well as its more direct uses for art, film and video production, recreational purposes, hobby, and mass communication. 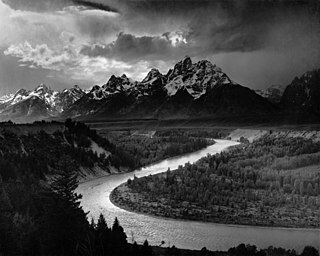 Ansel Easton Adams was an American landscape photographer and environmentalist known for his black-and-white images of the American West. In a black and white pre-credits opening sequence in the 2006 Bond film, Casino Royale , a young James Bond (played by Daniel Craig) gains his licence to kill and status as a 00 agent by assassinating the traitorous MI6 section chief Dryden at the British Embassy in Prague, as well as his terrorist contact, Fisher, in a bathroom in Lahore. The remainder of the film starting with the opening credits is shown in color. 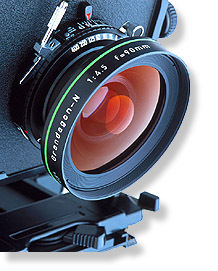 In photography and cinematography, a filter is a camera accessory consisting of an optical filter that can be inserted into the optical path. The filter can be of a square or oblong shape and mounted in a holder accessory, or, more commonly, a glass or plastic disk in a metal or plastic ring frame, which can be screwed into the front of or clipped onto the camera lens. Film colorization is any process that adds color to black-and-white, sepia, or other monochrome moving-picture images. It may be done as a special effect, to "modernize" black-and-white films, or to restore color films. The first examples date from the early 20th century, but colorization has become common with the advent of digital image processing. Color printing or colour printing is the reproduction of an image or text in color. Any natural scene or color photograph can be optically and physiologically dissected into three primary colors, red, green and blue, roughly equal amounts of which give rise to the perception of white, and different proportions of which give rise to the visual sensations of all other colors. The additive combination of any two primary colors in roughly equal proportion gives rise to the perception of a secondary color. For example, red and green yields yellow, red and blue yields magenta, and green and blue yield cyan. Only yellow is counter-intuitive. Yellow, cyan and magenta are merely the "basic" secondary colors: unequal mixtures of the primaries give rise to perception of many other colors all of which may be considered "tertiary." The Indian-head test pattern is a black-and-white television test pattern which was introduced in 1939 by RCA of Harrison, New Jersey as a part of the RCA TK-1 monoscope. Its name comes from the original art of a Native American featured on the card. It was widely used by television stations worldwide during the black-and-white TV broadcasting era. Dufaycolor is an early British additive colour photographic film process, introduced for motion picture use in 1932 and for still photography in 1935. It was derived from Louis Dufay's Dioptichrome plates, a glass-based product for colour still photography introduced in France in 1909. Both Dioptichrome and Dufaycolor worked on the same principles as the Autochrome process, but achieved their results using a layer of tiny colour filter elements arrayed in a regular geometric pattern, unlike the Autochrome's random array of coloured starch grains. The manufacture of Dufaycolor film ended in the late 1950s. ↑ For the effect this caused for team uniforms in televised sports, see: Away colours. ↑ Robertson, Patrick. Film Facts, Billboard Books, 2001, pg. 167. ↑ Renner, Honey (2011). Fifty Shades of Greyscale: A History of Greyscale Cinema, p. 13. Knob Publishers, Nice. Wikimedia Commons has media related to Black and white .